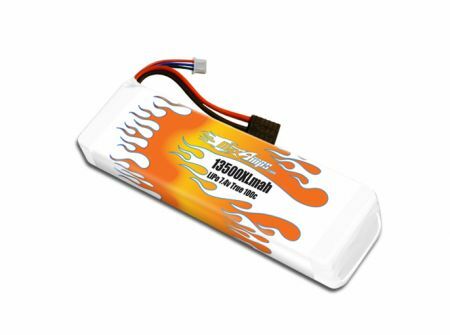 For the highest capacity-longest run time, choose the MaxAmps.com 13,500mah pack. Run your entire day of racing on one charge! Note: Only purchase this pack if your vehicle can physically fit a 7-cell flat NIMH pack. Note: Using this battery in the Traxxas Slash requires Traxxas battery tray expansion kit (#5827X) to fit.